I’m excited to introduce you to Caryl Anne Crowe, guest blogger from Allegra Marketing. She’ll go through an important piece on email marketing for business – personalization. In today’s hyper-competitive business environment, business owners must find clever ways to attract new business prospects to their businesses. The use of newsletters is one of the oldest digital marketing methods that has been used by businesses. Most businesses send their newsletters and other business communications to their prospects and repeat customers via email. Communication aimed at persuading a prospect or a repeat client to buy what you are offering is termed marketing and since the communication is done via email, this type of marketing can be termed to be email marketing, also referred to as digital marketing. Granted, there are two modes of email marketing that business owners use in their campaigns, these include automated email marketing and personalized email marketing. In this article, we argue for the benefits of the latter – personalized email marketing. 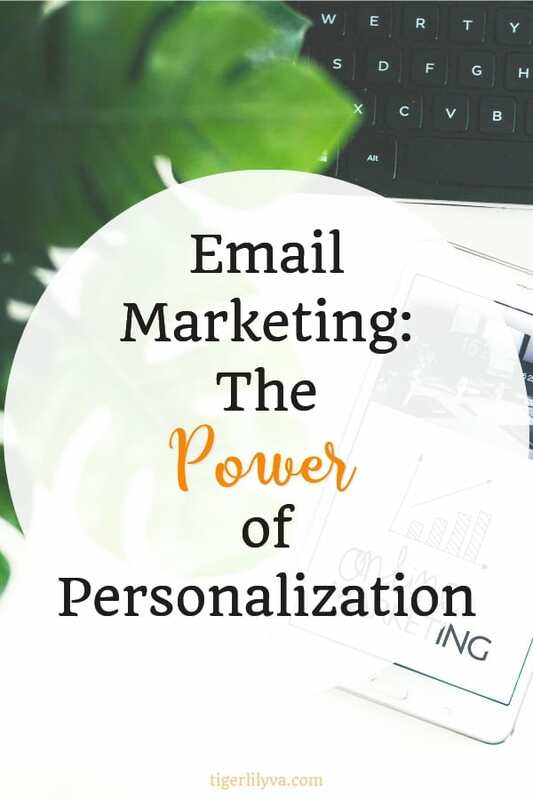 In the context of email marketing, personalization can be defined as the act by which you target an email marketing campaign to a particular subscriber by using the information and data you have about the client. This information could include anything ranging from their name, where they live, the last product they bought from you, how many times they visit your website among others. The degree of personalization can vary from basic to advanced. In basic personalization, you might want to use tactics such as the name of the subscriber on the subject line. You can employ advanced personalization by customizing the content of the email based on the location, gender and other personal details of the subscriber. A personalized subject line has a higher chance of being opened than one that is automated. Your goal as you send out these emails is to encourage the subscriber to open them and take some action. Therefore, you need to aim at your emails getting unique open and click rates. 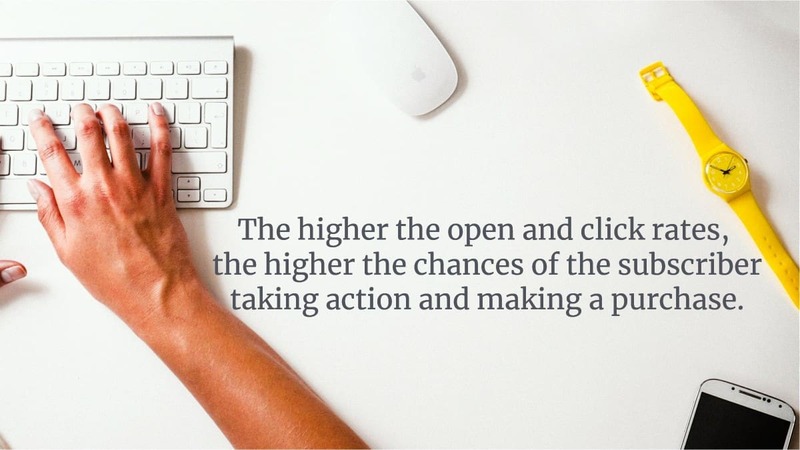 Remember, the higher the open and click rates, the higher the chances of the subscriber taking action and making a purchase. Email personalization has a way of making customers feel special. Remember, customers like having that feeling that you are talking to them and not at them. 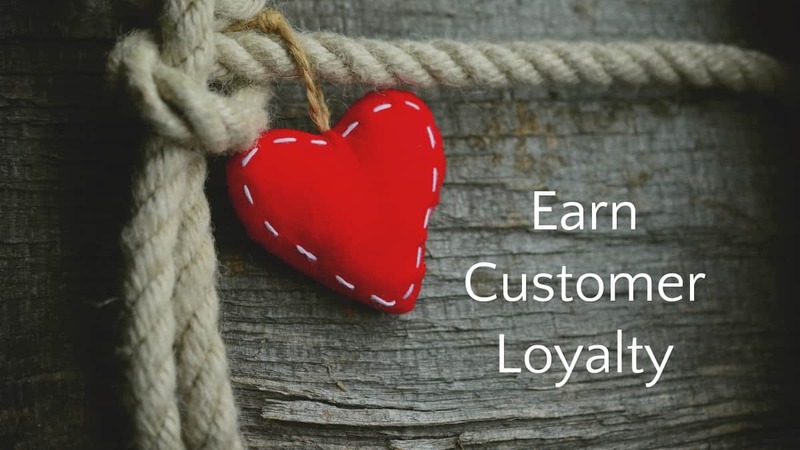 When you address a customer by his or her name, the customer will develop a feeling that you understand him or her and this will in turn earn you a loyal customer. Additionally, you can use the data you have on the customer to design an email that draws his or her attention to a product or an offer you think might interest him or her and this will in turn increase the chances of you getting a sale. Use personalized email marketing to ready your clients of developments that will soon hit the market. For example, if you are into the fashion business, you might send out emails alerting them of a collection that you will be having in store soon. This will serve as an invite to them to partake in the offer. Address the customer by his or her name. Have a catchy subject line that you believe will resonate with the person of the subscriber. Customize the content using the personal data you have on the subscriber. Use fonts and colors that will be attractive to the subscriber e.g. pink for female subscribers and blue for male subscribers. Which of these email personalization tips have worked for you? If you haven’t tried any of these, which one will you try? Thank you for explaining such an awesome power of email personalization. I am currently using mail chimp as my email template. Thanks for stopping by. I’m glad this guest post is helpful to you. I use MailChimp as well and really love how easy it is to work with. Good article. It’s very important theme because many businesses have been incredibly slow to take up personalization. In fact it has been reported that only 5% of companies personalize extensively. You’re right. Businesses have been slow with personalization. I’m not surprised only 5% use personalization. No, it’s not easy. It takes a lot of effort but it’s worth it. Thanks for stopping by, Mr. Moss. 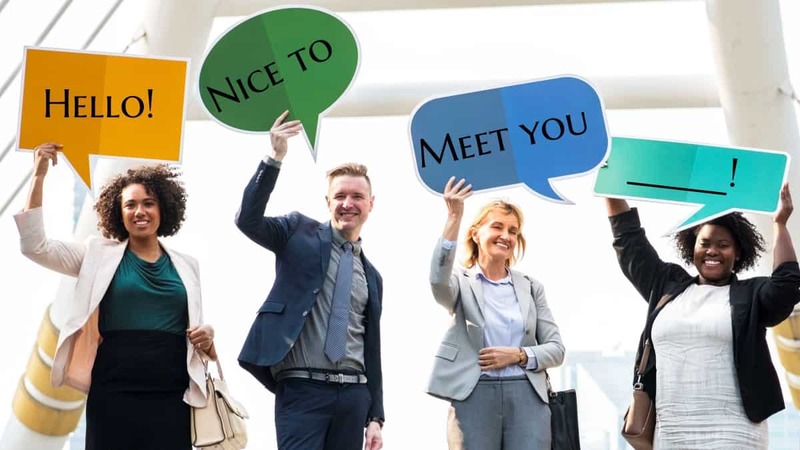 It’s hard to personalize emails for a large group, but like you’ve mentioned putting the name of the prospect along with a warm greeting goes a long way in personalizing. Thank a lot for this article. I have been using MailChimp, this was very useful. I use MailChimp as well! These points can definitely be applied with your email marketing. Email marketing is really the key to online success. It is very important to have a so called sales funnel in place if you are looking to earn income from your own products or affiliate products. The personalization of the emails as you mentioned in your article means a lot when it comes to the click through. Also, many people try to sell something to their subscribers immediately after signing up. This is a mistake because there is no trust yet. The sales will come much later down the line. Thanks for a great article! I learned a lot from it. You make great points on trying to sell to subscribers immediately. It’s not a good idea. Email marketing will bring the trust needed. Thanks for sharing, I am doing social media for my site, this article is indeed very helpful for new blogger like me. Email marketing is the most powerful technique to get good visibility of your brand. If one can do it properly, then it is the biggest source of generating regular sales, building the trust. Many thanks for this share. Yes, I totally agree on this article. One must find a way to make email specially for marketing purposes a bit personalize and not to make it spam like. I also use mailchimp as it is user-friendly email platform. Easy to use and free! Thanks for stopping by and commenting! Mailchimp is a great email service, love using them as well. Great post on the importance of personalization in email. This often makes the difference between success and failure in any campaign. Rhodes Kriske recently posted…Looking for custom stencils made online? Look no further. Thanks for stopping by and commenting! Email personalization absolutely makes a difference. Thank you so much for this information! personalization is key! Yes! Glad you agree, Roop. This is why the use of generic templates found online is a 100% violation to email marketers. Personalization of emails have been proven to increase click rates. People are smart enough to know if an email is automated. If there is no sense of emotion or a little bit of customization in your emails, people won’t bother reading it even if they subscribed to your list in the first place. Exactly! People can tell if the email is an automated email. They’ve got to add their own flair and personality into their email campaign. Thank you for explaining such an awesome power of email personalization. Thanks for the article. It’s my pleasure! Glad to bring you this guest post. Thanks for this great post, I just found out that my first blog has 564 subscribers. i will like you to suggest for me best free email marketing platform, that i will use to reach my subscribers. i have also subscribe to your blog for more email marketing tips. I suggest using Mailchimp to start off with. You may want to look into Campaign Monitor, Mad Mimi, and ConvertKit. There are so many to choose from but it’s completely up to each individual for the features they’re looking for. Thanks for sharing it. it really help a lot in traffic creating. Glad it was helpful! Very true on traffic.